Three San Diego middle-schoolers attended the U.S. Space and Rocket Center Space Camp in Huntsville, Alabama, on full scholarships awarded by a Boston-based law firm with an office in San Diego. 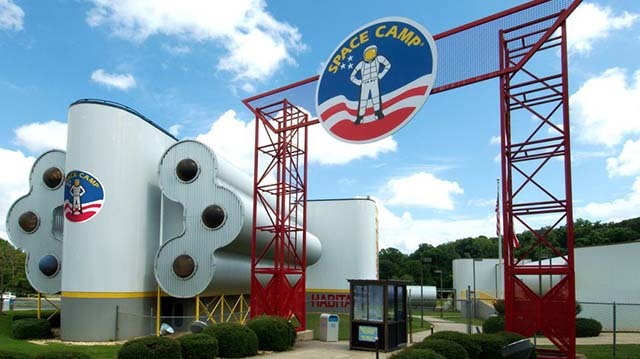 The students — Angelo Bernardo, Weston Richardson and Nicola Isabelle Valmoria from Bethune K-8 School — successfully applied for Fish & Richardson’s Space Camp Scholarship program, which launched in 1999. Each year, the firm selects three winners from economically disadvantaged areas in each of the 11 U.S. cities in which it has offices, based on written applications and in-person interviews. The recipients receive full tuition, round-trip airfare and accommodations for the six-day, five-night camp that would otherwise cost $999 per student. The students attended the camp July 8-13 and experienced simulated space shuttle missions, took part in space exploration programs and learned about mission control. In a survey conducted by the camp, 96 percent of graduates since the camp began in 1982 said the experience increased their interest in STEM topics and 50 percent of graduates said the experience inspired them to enter a STEM field later in life. « Can Better Data Help San Diego Solve its Homeless Problem?